BUY-TO-LET – WHAT DOES THE FUTURE HOLD? If you're thinking of selling your property this autumn, then it's vital to get your house in tip-top condition and make sure you offer it for sale at the right price. With more properties now coming to the market, buyers have more choice. This means that homeowners need to put in a bit more work to make their property stand out from the crowd. Over-pricing can lead to low levels of interest in your property, whereas offering your home for sale at a realistic figure is likely to entice more potential buyers, and can lead to an increase in the amount offered. If several people are interested, you may find that you get bids over your asking price. Many potential buyers tour the neighbourhood before arranging viewings, so kerb appeal is really important. If your front door is shabby and your front garden needs attention, you could find that your property doesn't get on a buyer's viewing list. Before you get photographs taken for your sales material, it really pays to have a good declutter and a thorough clean. It's particularly important that bathrooms and kitchens look pristine and tidy. Worktops, baths and taps that have seen better days can be very off-putting to potential buyers as they'll be calculating how much it will cost to replace them. Research amongst buyers shows that they prefer light rooms in neutral tones, so if you have small rooms that are painted in dark colours, consider getting them painted before you try and sell. Growing families are often looking for outside space that children can play in. It's worth spending time tidying flower beds, cutting lawns and putting children's toys away so that your garden looks its best when you get your photographs taken. Make sure that you have a file of important documents like window guarantees, certificates for gas and electrical work you've had done, any planning permission for extensions you've had built, council tax bills and other bills that show what the running costs of your home are. That way, you look organised to a potential buyer, and having this information to hand will enable your solicitor to leap into action if you get an offer. When you take out or renew your contents insurance, it's important to get your sums right. If you were to "guesstimate" the figure you want to be insured for and undervalue your possessions, you could face serious problems in the event of a claim. So, if you only paid for £25,000 of home contents cover, but the total value of your home contents is £50,000, any claim you make, even for a single item included at the correct value, could be scaled-down pro rata. The best way to ensure that everything is covered is to make a list of all the items in each room of your house, not forgetting things you keep in cupboards, attics, the garage and out-buildings. Some insurers will limit the maximum amount they will pay out for a single item, so you'll need to provide details of your valuable possessions. If you have high value items like jewellery, antiques and heirlooms, you'll need to get a professional valuation certificate. Remember to have them revalued regularly and update your insurance policy accordingly. The Centre for Ageing Better reports that there are now 414,000 older people privately renting, up from 254,000 in 2007. It estimates that by 2040, a third of those over 60 could be living in private rented accommodation. Renting in later life can have advantages. 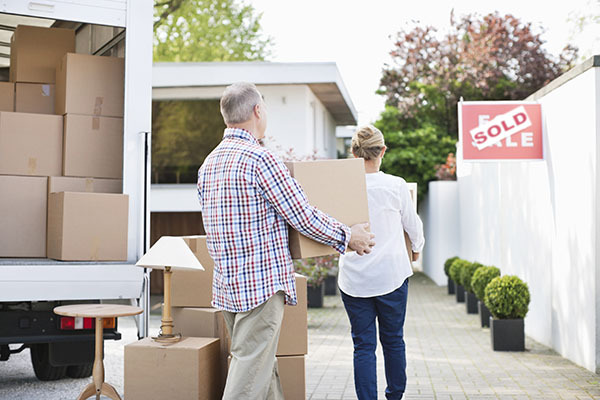 Selling a family home and renting can provide cash to supplement retirement income or pass on to other family members. A smaller rental property will have lower running costs, and as a tenant there's no need to worry about maintenance bills. Home ownership can cause problems if you need to go into a care home, but if you're renting you don't need to worry about selling your property to cover the cost of fees. Renting can provide a welcome degree of flexibility. Some canny retirees are even choosing to rent in the UK in summer, and then renting abroad during the winter, saving the hassle involved in owning a property abroad. For those in their 70s and 80s, losing a partner can lead to debilitating loneliness. Moving into a rental property in a retirement complex that provides on-site facilities such as restaurants and communal lounges, can provide much-needed companionship and practical support. Having resident staff provides the security of knowing that in an emergency there would be someone to call on. So, if you're thinking of renting, the advice is to consult a reputable lettings agent, work out what your bills will be, ensure your deposit is covered by an approved scheme, and check to make sure that gas and electric appliances are covered by appropriate checks and safety schemes. Don't forget that whilst your landlord will be responsible for building insurance, you will need to insure your possessions. Prior to the 2008 financial crisis, interest-only mortgages were a popular choice for home buyers. With this type of mortgage, the borrower pays off the interest each month, but makes no capital repayments. Borrowers were expected to have plans in place that would repay the capital at the end of the term, and whilst many took out endowment policies, some borrowers didn't have firm plans in place. There are estimated to be around 1.7m interest-only mortgages that are due to mature over the next few years. 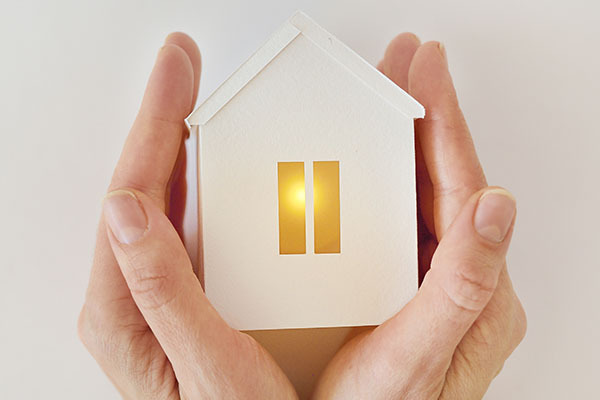 The Financial Conduct Authority (FCA) has urged borrowers who anticipate that they won't have sufficient assets to repay the capital at the end of their mortgage term, to take professional advice. There are alternative types of mortgage available, such as repayment, lifetime or equity release, that can be put in place to avoid the risk of borrowers defaulting and having to sell their property in order to repay their loan. Following the recession, the introduction of tougher lending criteria under the FCA's Mortgage Market Review in 2014, meant that lenders were required to use more stringent tests before granting loans, leading to repayment mortgages becoming the main type of mortgage offered. Several lenders have recently returned to the interest-only mortgage market. However, the loans that are now available are much more strictly controlled. Borrowers are expected to have large salaries, substantial deposits to put down and clear repayment plans in place. They will also need to demonstrate that their monthly interest payments will be affordable throughout the term of the loan. If you would like to know more or are considering your repayment options on an existing interest-only mortgage and would like some advice, then do get in touch. It's long been said that people buy a home with their hearts rather than their heads. It's not unusual for people to fall in love with a property when they've spent no more than 20 minutes looking round it. However, it always pays to take a long cool look at a property, and apply some basic sanity checks. Here are a few things you might want to think about, and some you may want to get a surveyor to check out, before you commit to buying it. What's the area like? Can you walk to shops or do you need to drive? What local transport links are there? If you need to travel to work, a good service can make all the difference. Is parking adequate, is the road likely to be very noisy at certain times of the day? Which way does the property face? It can make the difference between having a home that's light and bright, or one that in the winter can be frustratingly dark. Are the rooms big enough? Developers can often put small furniture in show homes to make the rooms look bigger. Think about storage space, and important things like the number and location of power sockets, are they sufficient for your needs? A surveyor can report on important things that can be costly to put right, including structural problems, the state of the roof, signs of damp, condensation, and the quality of the window frames. You might also want to arrange to have the central heating system, pipework and radiators checked over, to ensure you don't move in and find that you can't heat the house and don't have any hot water. For most of us, our mortgage is likely to be the biggest expense we have in our lifetime, so it pays to think about what would happen if you could no longer pay it. Sadly, as we all know, sometimes things don't go according to plan, and our lives can be turned upside down. One of the most compelling arguments for families taking out protection policies is to ensure that their families are able to carry on paying the mortgage in the event of an illness, long-term sickness, accident or death. With a policy in place, there would be an income or a lump sum available to them to keep a roof over their heads, meaning that they wouldn't be burdened with money worries at a difficult time. A recent survey1 amongst mortgage holders found that 42% don't have a life insurance policy in place, 71% have no critical illness cover, and 81% don't have any income protection in place. Whilst many people realise that having a policy in place would provide valuable peace of mind, taking out a policy is a task that never quite gets to the top of their priority list; 20% of full-time working people questioned for the survey recognised that they would benefit from having insurance protection, but hadn't got around to arranging it. Getting the right policy in place needn't be stressful or time-consuming. We will be able to review the market and recommend a policy that's cost-effective and provides the right type and level of cover for your circumstances. 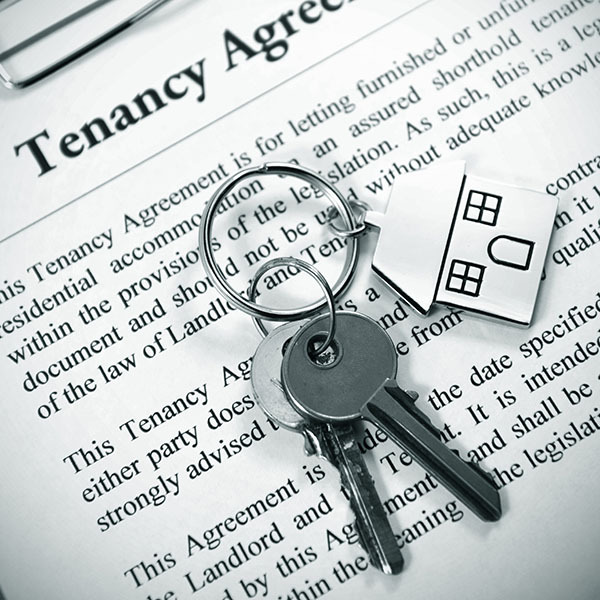 Being a buy-to-let landlord is much tougher than it once was. Many landlords entered the market a few years ago, attracted by the low interest rates they were charged for borrowing money, and the tax relief that was available to them on their mortgage interest payments. However, during George Osborne's Chancellorship, changes in the tax rules were announced that reduced the mortgage interest tax relief available, and additional rates of Stamp Duty (and equivalent taxes in Wales and Scotland) were imposed on those buying second homes or buy-to-let properties. This means that landlords are set to find their income tax relief on mortgage interest restricted to 20% by 2020. Plus, the recent rise in interest rates has meant the cost of borrowing has gone up. More landlords are setting up as limited companies for tax reasons; 18% of private rentals in England are now owned by limited companies. Despite the tax changes and the potential for buy-to-let mortgage costs to rise, landlords are still entering the market. Renting remains buoyant; plenty of people prefer to rent or feel priced out of the property ownership market and need somewhere to live. If you're thinking of becoming a buy-to-let landlord, it makes sense to begin by working out how much it is likely to cost to buy a property, what your borrowing costs will be, and what expenses you'll incur putting it on the rental market. You'll need to factor in all the associated costs, such as gas and electricity safety inspections, insurance, regular maintenance and any agent's costs, if you intend to use a letting agent. Then you'll need to work out how much rental income you're likely to make, including any periods where the property might be empty, and you won't be receiving rent. This calculation will help you assess whether this type of investment is worthwhile for you. When looking for a property, one near good transport links and with easy access to local amenities is always likely to be attractive, so choosing the right area is important. It also pays to form a view of the type of tenant you expect to attract; that way you can opt for the right décor. If you're aiming to attract students, clean and comfortable would work, but if you're thinking of young professionals, something more modern and stylish might be more appropriate. 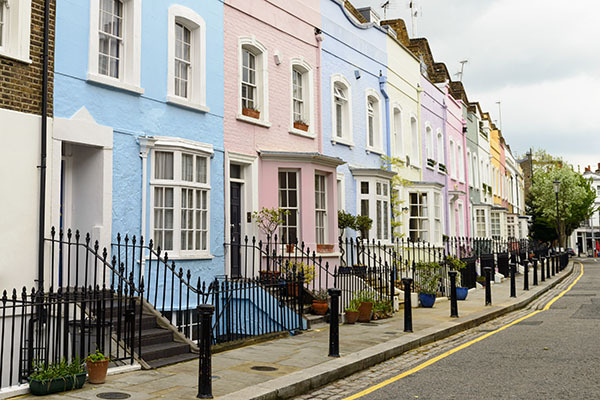 The Law Commission has proposed a raft of new proposals which could make it easier for leaseholders to buy their freeholds. These will be welcomed by homeowners who have been told they must pay exorbitant amounts of money to buy their freehold. There are an estimated 4.2m leasehold residential properties (one-third houses and two-third flats) in England, and around half of these are on leases with less than 80 years remaining. Ground rents average £370 per year. One of the proposals that the Commission has put forward is to introduce a simple formula that would mean that eligible leaseholders would pay just ten times their current ground rent, or 10% of the value of the property, to convert their property from leasehold to freehold. It also recommends replacing the current right to purchase a one-off 50-year lease extension with the right to purchase an unlimited longer lease extension without a ground rent. It also proposes removing the current requirement that leaseholders must own the lease on their property for a minimum of two years before they can buy their freehold. The final recommendations will be published next year. It is important to take professional advice before making any decision relating to your personal finances. Information within this document is based on our current understanding and can be subject to change without notice and the accuracy and completeness of the information cannot be guaranteed. It does not provide individual tailored investment advice and is for guidance only. Some rules may vary in different parts of the UK. We cannot assume legal liability for any errors or omissions it might contain. Levels and bases of, and reliefs from, taxation are those currently applying or proposed and are subject to change; their value depends on the individual circumstances of the investor. No part of this document may be reproduced in any manner without prior permission. Information is based on our understanding of taxation legislation and regulations. Any levels and bases of, and reliefs from, taxation are subject to change.